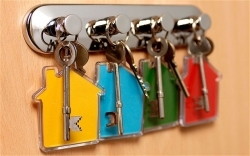 Citizens Advice Scotland has welcomed the Scottish Government’s new Private Housing (Tenancies) Bill, describing it as good news for tenants and landlords alike. Housing and tenancy cases are among the issues most commonly brought to the CAB service. The details of the bill were unveiled at Leith C.A.B. in Edinburgh this morning. “We welcome the introduction of this new bill which will make private rented tenants’ rights stronger than ever before. “For many years CAS and others have called for action against rogue landlords who use the threat of unfair evictions to get their way, for example by stopping complaints about necessary repairs. The new leases will allow tenants to stay in property that they want to make their home without threat of irresponsible evictions. For interviews with CAS spokespeople, please contact Tony Hutson on 0131 550 1010.